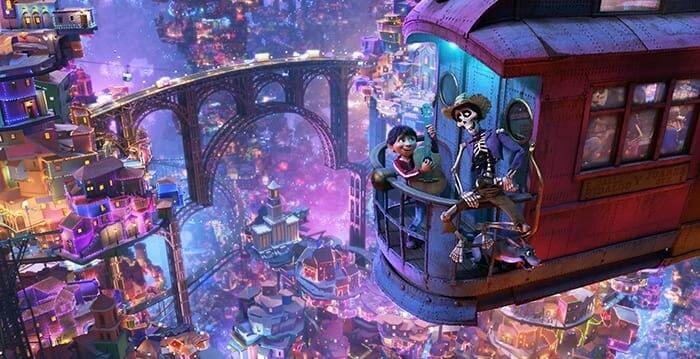 I was nervous that Coco would be a lot like The Book of Life, but the stories are very different and give you a great look into Dia de los Muertos. The Day of the Dead is a special day that the living celebrate and remember those that have passed. 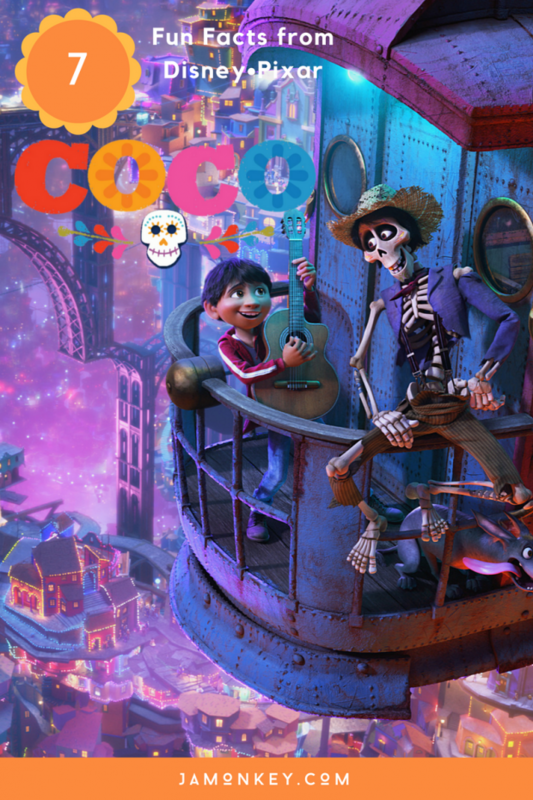 In Coco, we get to see how the dead get to come back and visit their family if their picture is displayed on an ofrenda (altar). Disney•Pixar does a lot of research into its films, and you'll find no lack of that for this story. 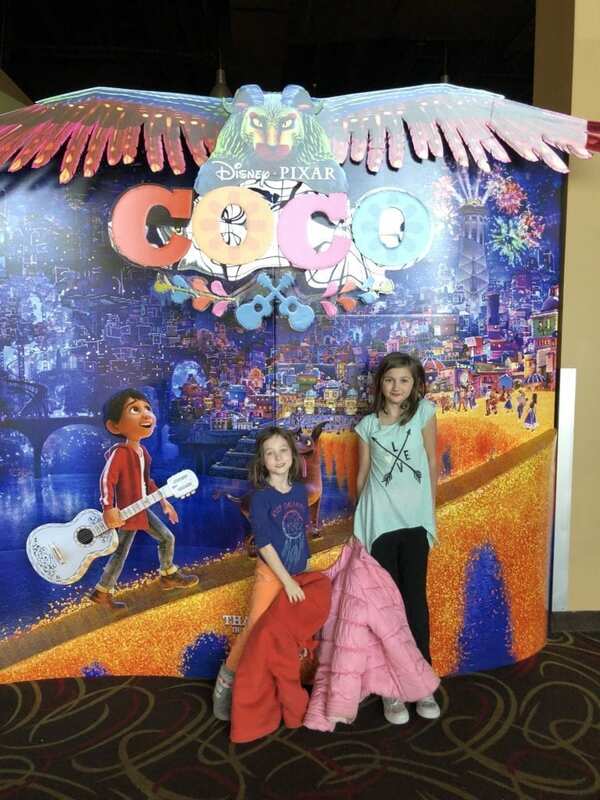 The Day of the Dead is one of the most fascinating celebrations of life that I've learned about, so Coco kept me, and the girls entranced the whole time in this beautiful story. Some of the fun facts that stuck out to me in Coco. Easter Eggs – There are lots of great easter eggs that Pixar leaves in all of its movies. Some you will catch are the Pizza Planet truck, Toy Story / Monsters Inc pinatas, and a poster for The Incredibles. Mexican heritage cameos – El Santo was a Mexican luchador, Frida Kahlo was a famous artist. You'll also see Jorge Negrete & Pedro Infante, Cantinflas, Zapata & María Félix, and Michael Giacchino Cameos. In the Land of the Dead, the only plants you will see are marigolds. Filmmakers learned during their research trips to Mexico that the color and aroma of marigold petals are believed to help guide the spirit of a family’s loved one home during Día de Muertos. One of my favorite aspects of the film were all the marigolds. I was ready for the theater to pipe the smell of the flowers in so we could feel like we were there. All the skulls and bones – You'll find skulls and bones everywhere. That first look at the Land of the Dead where you see the massive city and marigold bridges you'll see the shape of skulls in the spaces, in the buildings and the stones. Before the film started you'll get a behind the scenes look at the making of this scene and how much work went into it. Dante the dog – Miguel’s loyal canine companion Dante is a Xolo dog—short for Xoloitzcuintli—the national dog of Mexico whose origins are deeply rooted in Mesoamerican civilization. The Xolo was regarded as the representative on Earth of the Aztec god Xolotl, the god of fire and lightning. Nearly hairless, Xolo’s also often have missing teeth, and for that reason their tongue naturally hangs out. Filmmakers wanted to include this into Dante’s design and have his tongue behave like a character itself. To achieve the look, they borrowed the rig used in “Finding Dory” for “septopus” Hank’s dynamic tentacles. Filmmakers invited local Xolo dogs to Pixar so artists could interact with the lovable dogs and study their anatomy. Xoloitzcuintli comes from the Aztec god Xolotl and the Aztec word for dog, Itzcuintli. Archaeological evidence found in the tombs of Aztec Indians, among others, indicates the breed may go as far back as 3,500 years. Many consider Xolo dogs to have healing abilities. 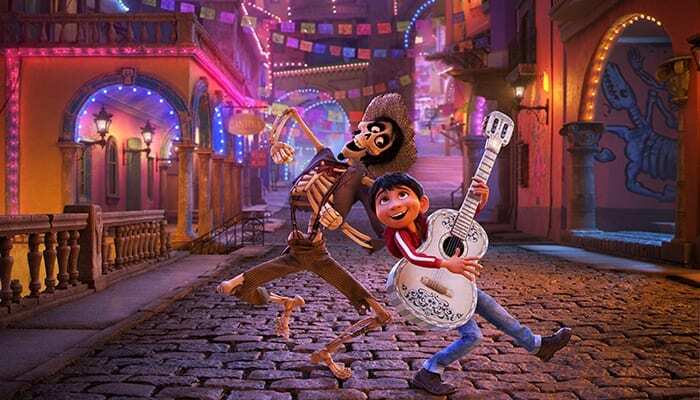 Handmade guitar – In “Coco,” Miguel recycles an old guitar, patching it up and painting it to mirror Ernesto de la Cruz’s signature guitar. But filmmakers knew that if they assigned an adult artist to do the design, it wouldn’t look right. Director Lee Unkrich called on his son to tackle the project and create the recycled guitar’s design. Curveball – I love that Disney is throwing us serious curve balls when it comes to the villains in the stories. 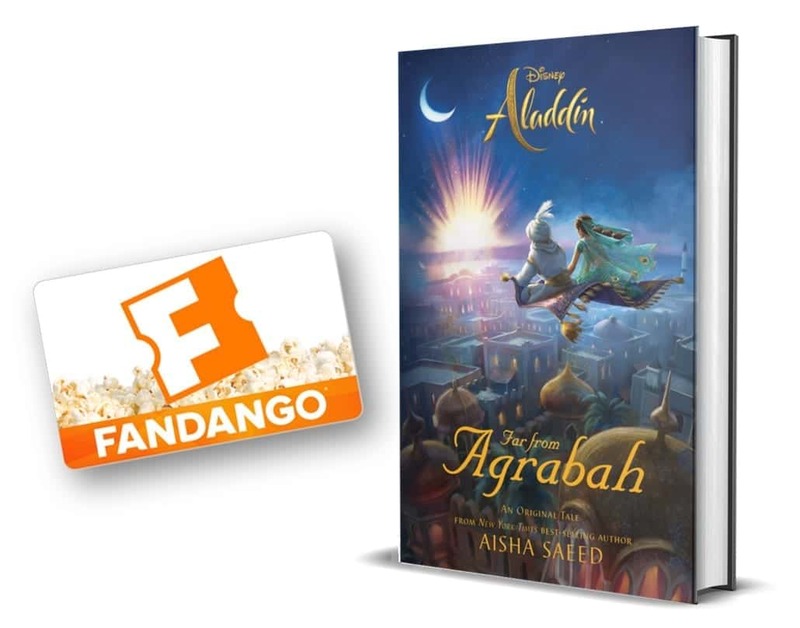 It happened in Frozen and Moana, you'll get that again in Coco. Coco is in theaters now. Don't miss Olaf's Frozen Adventure before the movie!